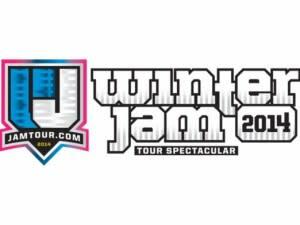 Posted on March 04, 2014 at 5:00:00 am by Barb S.
The Winter Jam Tour Spectacular which began in 1995 has highlighted many of the outstanding names in Christian music, such as TobyMac, Third Day, Steven Curtis Chapman and others. One of its goals was to bring these musicians to different cities at a low cost; therefore, there are no tickets to buy. Admission is $10 at the door on the day of the show. The tour – founded by Newsong – is said to be “from a single concert in Greenville to the largest annual tour in the world,” and thrills its audience with its vast repertoire of contemporary sacred music. The Coliseum is located at 4000 Parnell Avenue, Fort Wayne, IN 46805, and the phone number is 260.482.9502. Parking is $5 for the Main Lot and $8 for the Preferred Lot. Doors open at 6:00 p.m. with showtime at 7:00 p.m. 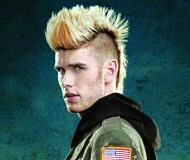 The Tour’s website is www.jamtour.com. There is also an opportunity to join Jam Nation which offers Individual Platinum, Group Premium and Group Basic memberships and benefits such as securing select seating, free and early admission to one Winter Jam Show, a Jam Nation T-shirt, and many more. Come praise God through these incredible musicians and their blessed talents! 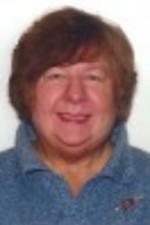 Barb Sieminski is a freelance writer and photographer for several magazines and newspapers. She received her B.A. and M.S. in art and English, from the University of St. Francis. When not chained to the computer, she follows her passion of fishing, believing that all good things come to she who baits . . .